We are the Green Wealth Advisory Team, based out of the beautiful province of Saskatchewan. Combined, we have over 65 years of experience in the Wealth Industry. We understand that you have a lot of choice when it comes to selecting a team to help you navigate through life’s transitions and we hope that our below video gives you some insight into who we are and why we might be a fit for you and your family. So, who are we really? We’re a team of dynamic, creative, strategic and innovative people. We believe in transparency and being open, real, vulnerable and honest with our clients. We ask great questions and more importantly, we listen to those answers. Our commitment is that we’ll help guide you through life’s transitions. The Green Wealth Advisory Team is a part of TD Wealth Private Investment Advice, a division of TD Waterhouse Canada Inc. which is a subsidiary of The Toronto-Dominion Bank. 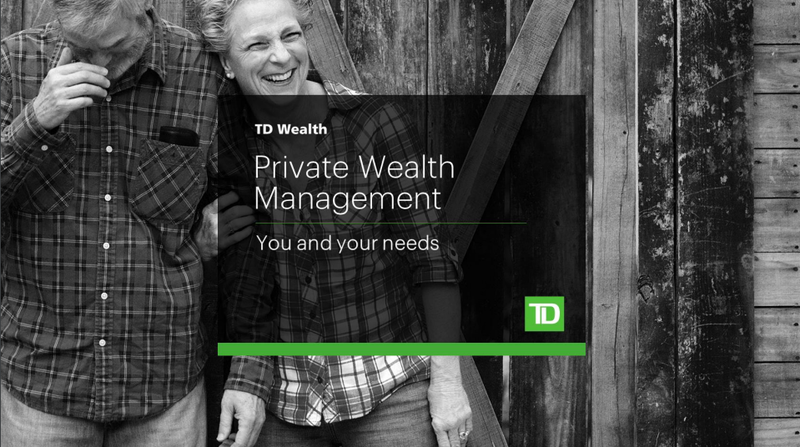 At TD Wealth Private Investment Advice, we take a unique approach to understanding you, your family and your values. 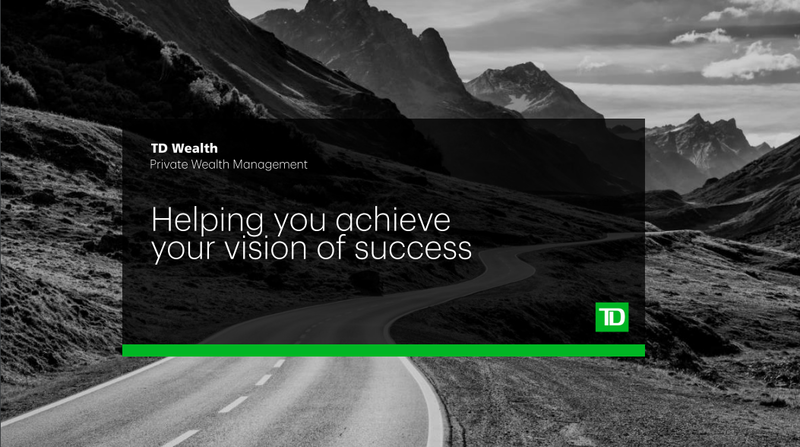 Using behavioural finance and TD's distinct discovery process, we'll help uncover what matters most to you, so we can build a strategy focused on helping you achieve your vision of success. The below brochures will shed light light on our proven approach, what makes TD different and how we can work alongside you and your family to achieve your goals. A natural born "big thinker", John leads the Green Wealth Advisory Team with his strategic outlook and ability to see the end goal. He has an innovative focus on client experience and an amazing talent for asking great questions. He can also tell a pretty good story (or two… or three). As a mentor & visionary, John has led not only the Green Wealth Advisory Team, but the Saskatoon branch as a whole. He has a ton of experience in the industry – 35 years to be exact. This might seem like a big number but John can honestly say he still enjoys waking up and embracing each day. You can be confident that John will have your back; his areas of expertise include: extensive knowledge about investments, market changes, world events (and their effect on markets). Not only that, his appreciation for the behavioural side of investing combines long term perspective with the ability to keep your goals on track. Oh! And we are pretty proud of the fact that he was awarded TD's "Vision in Action" award in 2010 – the highest form of individual recognition a TD employee can receive. 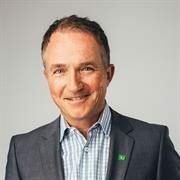 He was chosen because he embodies the spirit of TD's guiding principles – delivering a legendary experience, operating with excellence, taking on risk, and understanding TD's business. An award where approximately 75 in 75,000 TD employees are recognized for. Impressive to say the least! John's appreciation for both sunrises and sunsets goes deep – almost as deep as the love he has for his miniature dachshunds, Sully & Maddie. As often as possible, he combines the two with an early morning walk. 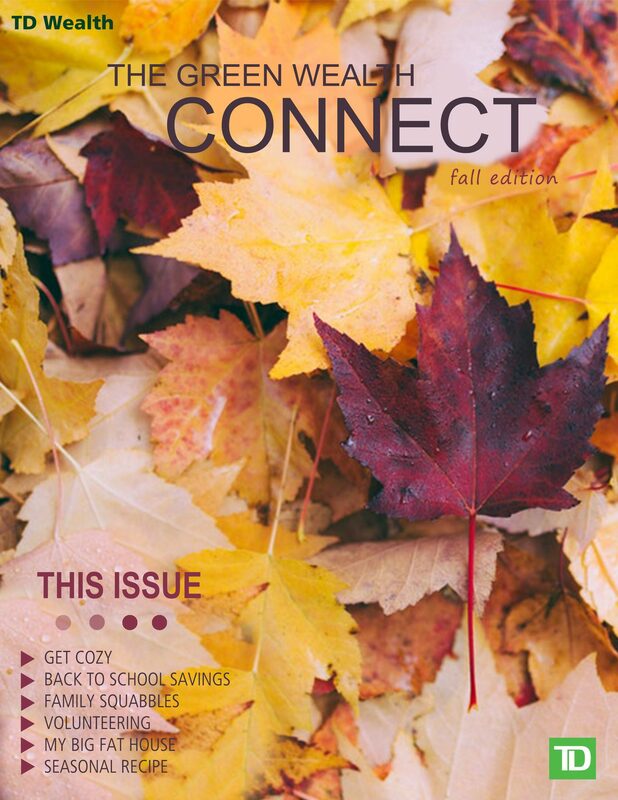 As empty nesters, John and his wife are embracing their independence by traveling, taking the time to try new recipes, and staying very active (the odd game of golf or whatever their bodies will still allow). They have two daughters - one in Victoria and one here in Saskatoon. Both fly home to the coop fairly often. Striving to give 100% all the time, Candice is a real go getter. She wants each and every client interaction to be meaningful, unique and personalized. She believes that creating value starts from the first interaction. With close to 15 years of wealth management experience behind her, you can be confident that Candice keeps your wealth needs at the forefront. Her expertise includes: proactive client contact & connection, creating, maintaining and updating your personal roadmap as your wealth needs evolve, and then selecting the proper investments to help meet your objectives. She is armed with her Certified Financial Planner (CFP®) designation; as well, she is licensed as a Life Insurance Advisor with TD Wealth Insurance Services. A competitive, self-starter, Candice is usually found being active. 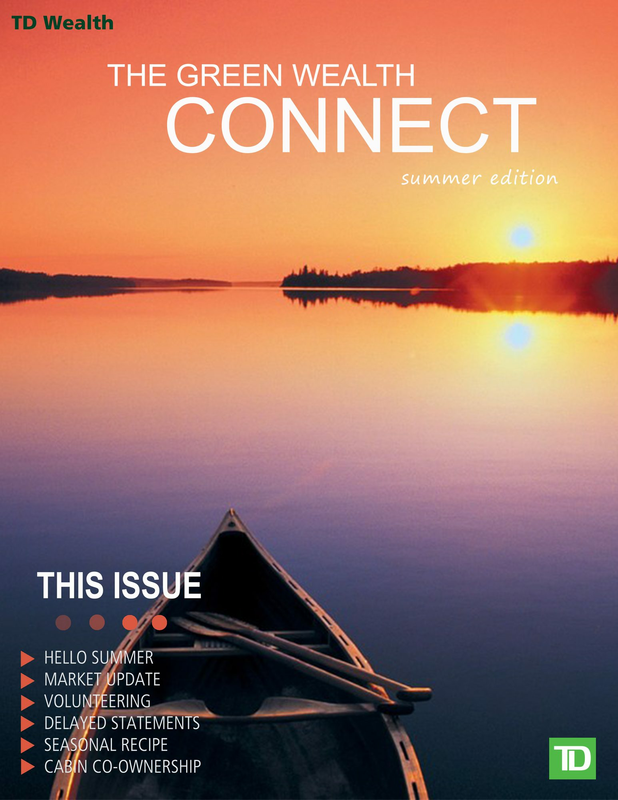 Her husband and three children own a cabin in Northern Saskatchewan and are often boating, hiking, biking, snow shoeing, canoeing, fishing (or basically, any verb ending in "ing"). She also plays basketball and soccer. This is Candice's way of "relaxing." Kelsey is a traveler at heart and finds joy in embarking on adventures both near and far. She thinks the world needs more: real human connections, trees, tolerance, and vegetarians. As the team's marketing expert with more than 8 years of experience, she's worked with local businesses such as: Tourism Saskatoon, Flaman Group of Companies, TD Canada Trust, and now TD Wealth helping with written and online communications, designing and producing print, planning and organizing events and implementing marketing plans. Kelsey is constantly finding new and innovative ways to enhance The Green Wealth Advisory Team's branding and online footprint. She was awarded the "Summer Fun Champion" in 2015 by colleagues and brings a lot of personality to the team. When she’s not writing or creating, you can find her busy with her husband, young toddler and cocker spaniel. They are outdoor people and most inspired when they are camping, hiking, canoeing or biking. Indoor wise, Kelsey is a pretty good cook and nothing beats good music and a cold beer. Consistency, harmony and reliability are just a few words we would use to describe Karissa. She is the glue that holds the Green Wealth Advisory Team together. As the teams quarterback, she always knows who is on the field and what the next play should be. Working with TD Wealth for close to 10 years has allowed Karissa the opportunity to develop a strong sense of the wealth advisory business and the different forms "wealth" can come in. Karissa's energy derives from acting as a trusted member of our client's network as she always aims to please! She is the first point of contact for all client related inquiries and will definitely be able to assist in whatever that request may be. Her amazing sense of humor adds so much value to those around her; there is rarely a day that goes by where we don't have a laughing session (the kind that hurts your stomach). She has built a great reputation for herself within the TD Community by actively being involved in various company initiatives, volunteer experiences, and committees. Often the first person in the office and the last to leave, she is extremely dedicated to taking the team to the next level. Karissa is a real foodie and likes to try out new recipes for her husband and two daughters. With a real appreciation for art, she is happy to engage her kids in various craft sessions! In the summer, you'll likely find the Beattie family on their boat either skiing, surfing, wake skating, or tubing... a fun-loving adventurist for sure.